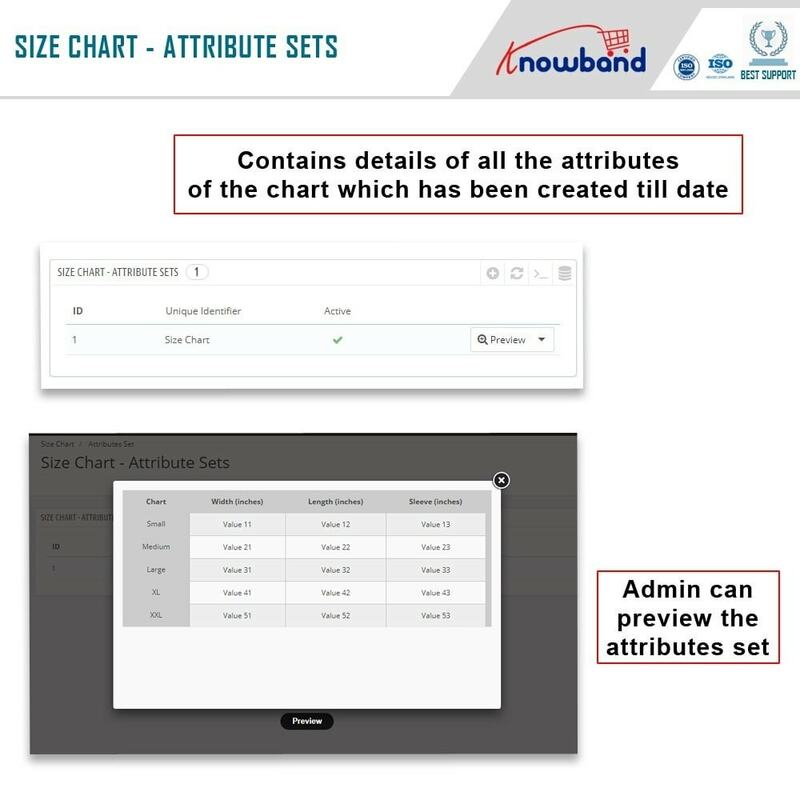 The eCommerce store admin can easily create the size guide charts by simply entering the values which you want. 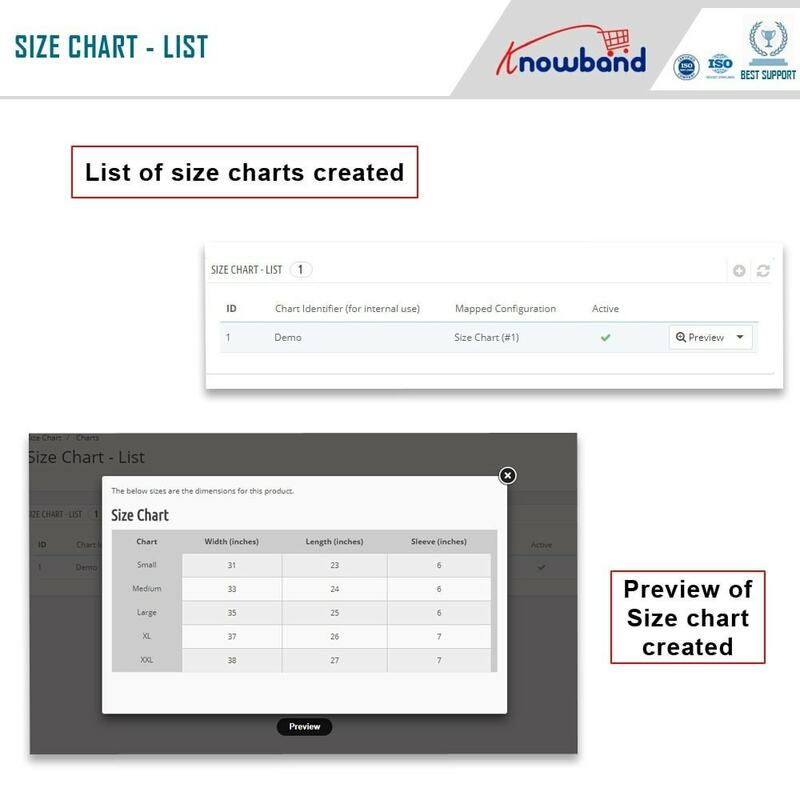 The store admin can set the size chart for a particular product or a category or a manufacturer. You can add any number of columns and rows according to your need. 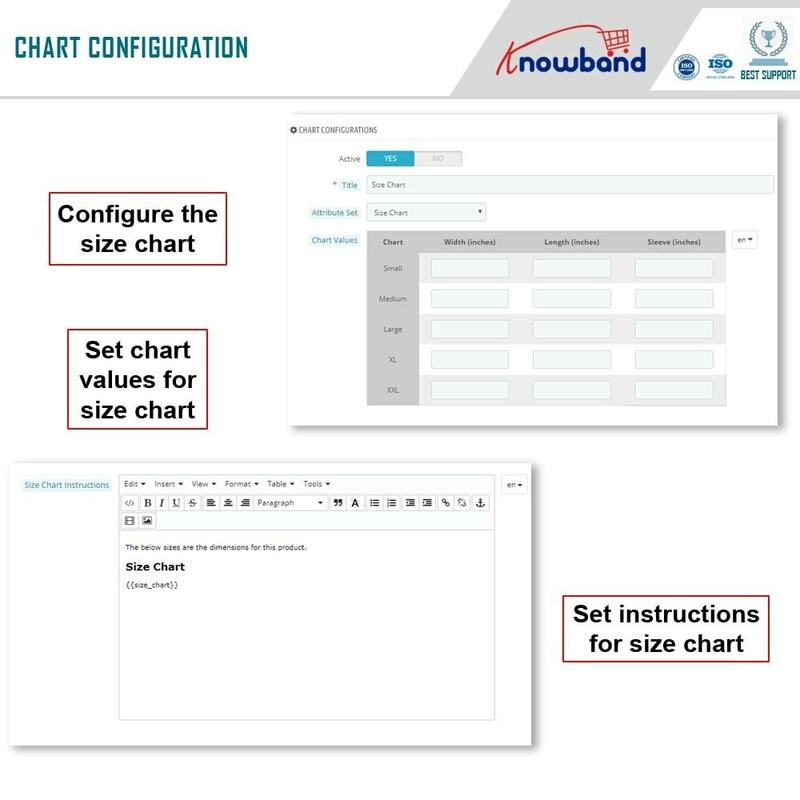 While creating the size chart you can always view the preview of the chart from the backend interface. 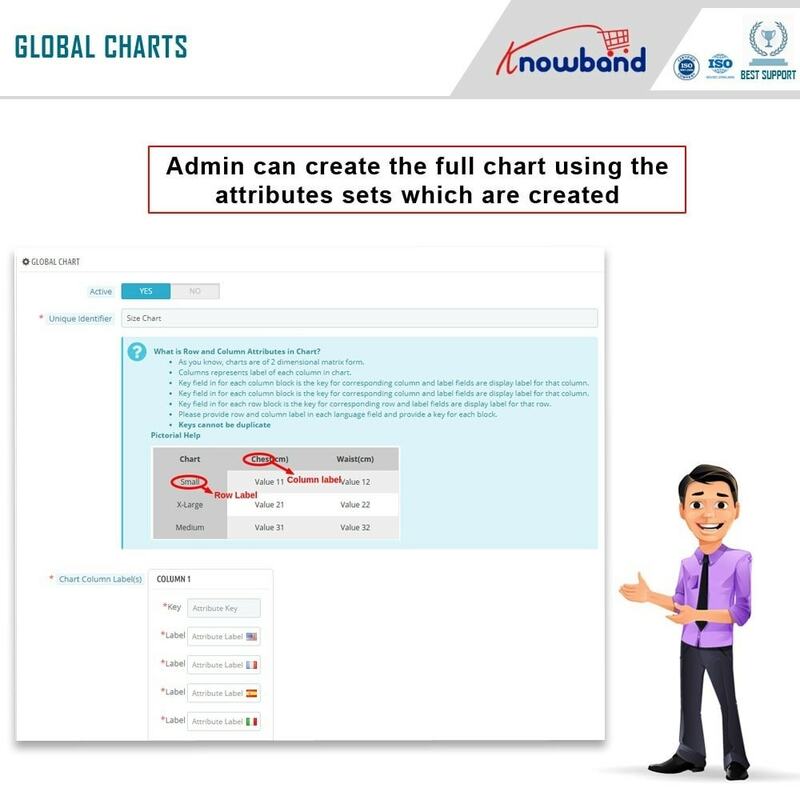 The chart can also be supported by any amount of text and images. The Prestashop size catalog module is very easy to install and configure. The Prestashop size catalog addon offers Prestashop eCommerce store admin to add this functionality without changing codes in the back-end. The eCommerce store admin can use Prestashop size chart popup addon without any technical knowledge. Prestashop Product Size chart addon provides size charts on the product pages. Size chart can be created easily by admin from the backend with the help of Prestashop size chart popup addon. 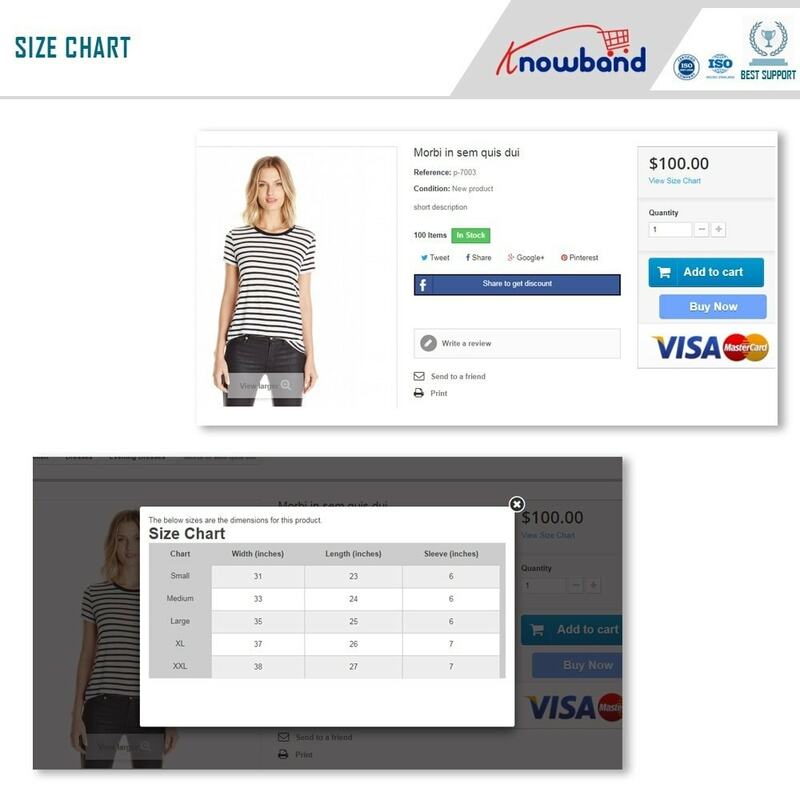 The Prestashop size chart link module gives the option to add images or guidelines to the size tables. Size guides for a category of products, a single product or a manufacturer. 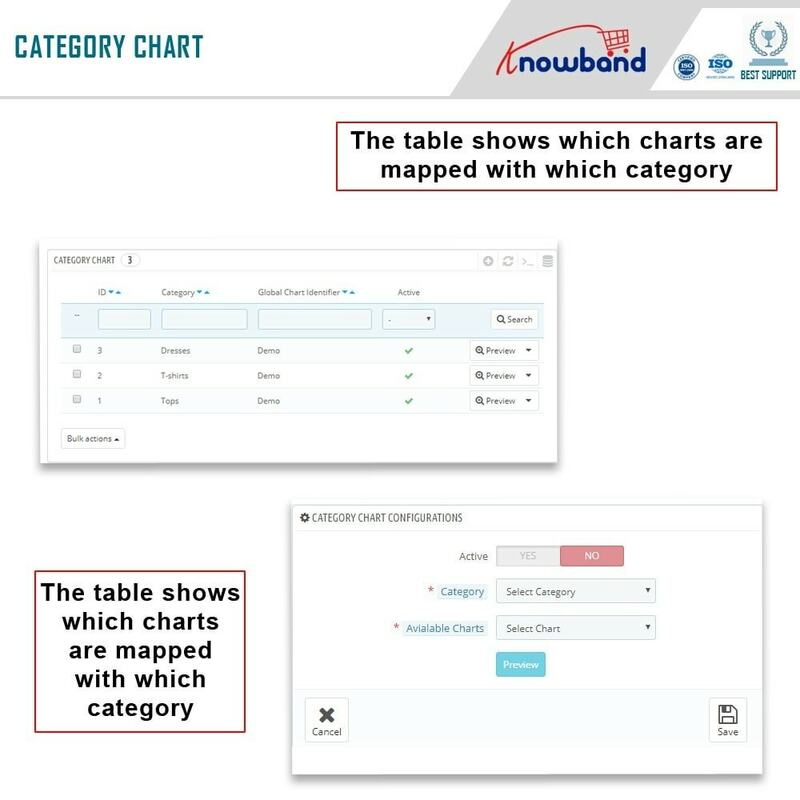 An unlimited number of columns and rows can be added to the charts. The Prestashop size guide addon is multi-store compatible. The Prestashop size chart link module is multi-lingual compatible. 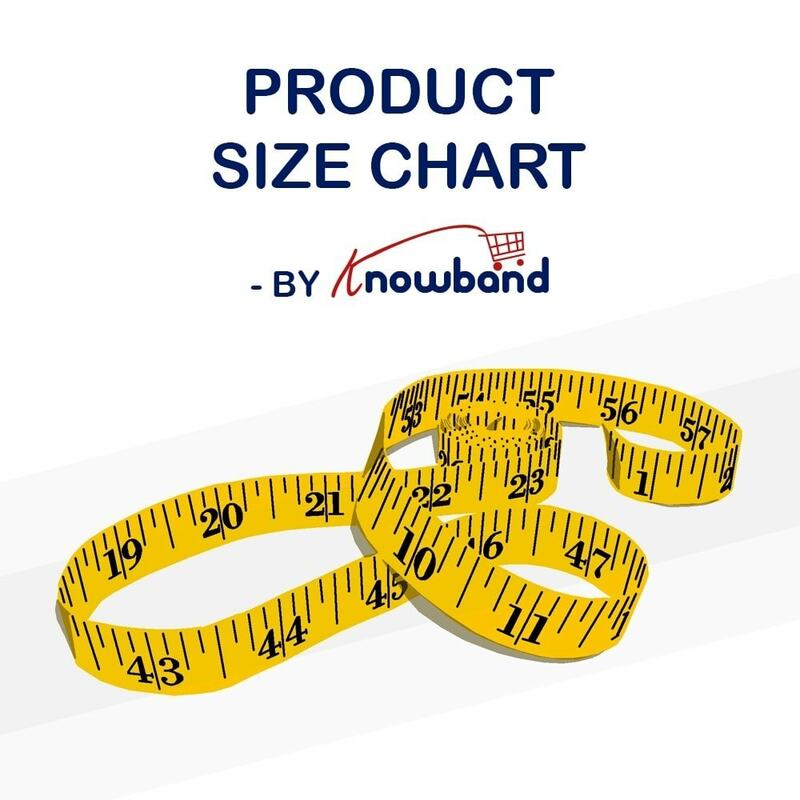 Customers can view the size chart and then decide their choice regarding the product. 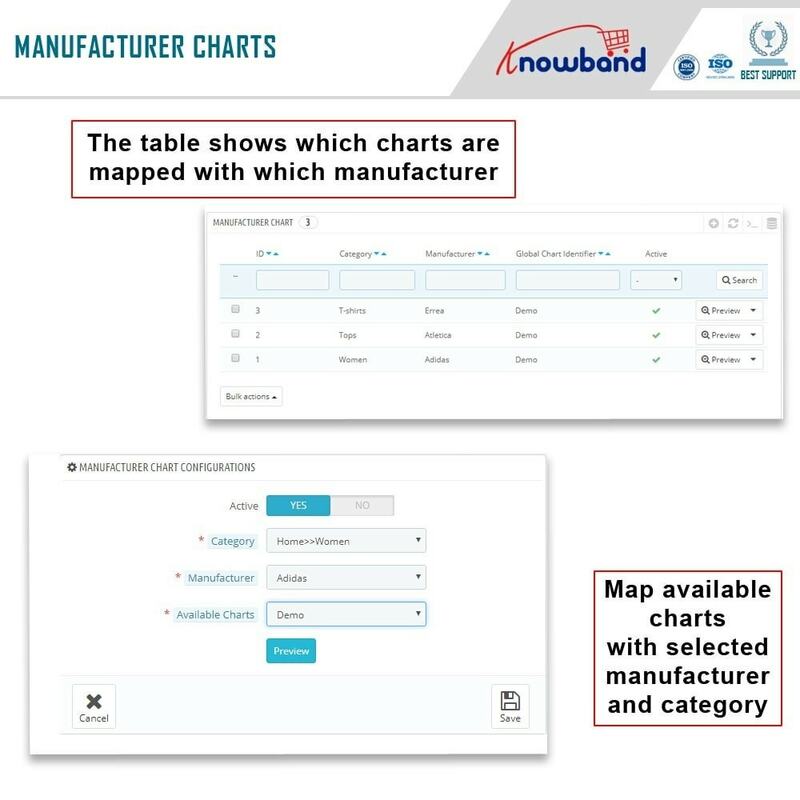 It has a great interface which will let the customers easily view and understand the guidelines. 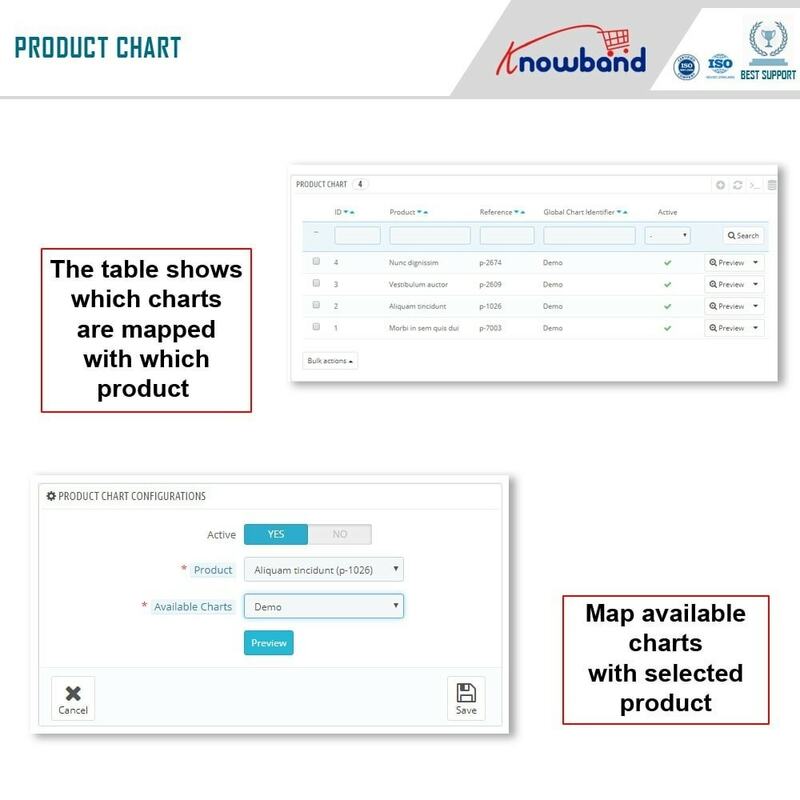 It will be available on all of the product pages which will make the customer's store experience better. Sehr gute und nützliche Erweiterung! Der Einbau hat unkompliziert funktioniert und der Support war kompetent, freundlich und hat schnell auf Anpassungen reagiert! Sehr zu empfehlen!! !